Mardi Gras Records, Inc. - N.Y.C. 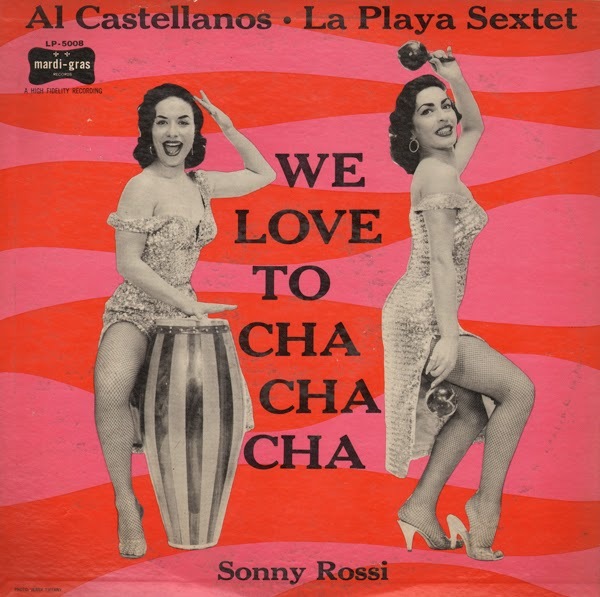 Peppy period Cha Cha split set (Castellanos/Rossi) featuring this smoking hot cover art and one solo vocal track that sounds like filler if you compare the sound to rest of the set (sample above). The vocalist might be "Sonny Rossi"(? ).